In his influential memoir Summerhill, A.S. Neill offers up more dubious snap diagnoses than a full season of Dr. Phil, but it is a weirdly compelling snapshot of the early days of the radical education movement. The last place you would expect his egalitarian no-rules-schools concept to catch on would be the Thai rainforest, but Rajani Dongchai, a.k.a. “Mother Aew,” has taught and sheltered under-privileged children for thirty-five years in her Children’s Village, a Summerhill-inspired school-nursery-orphanage in the rugged Kanchanaburi jungle. 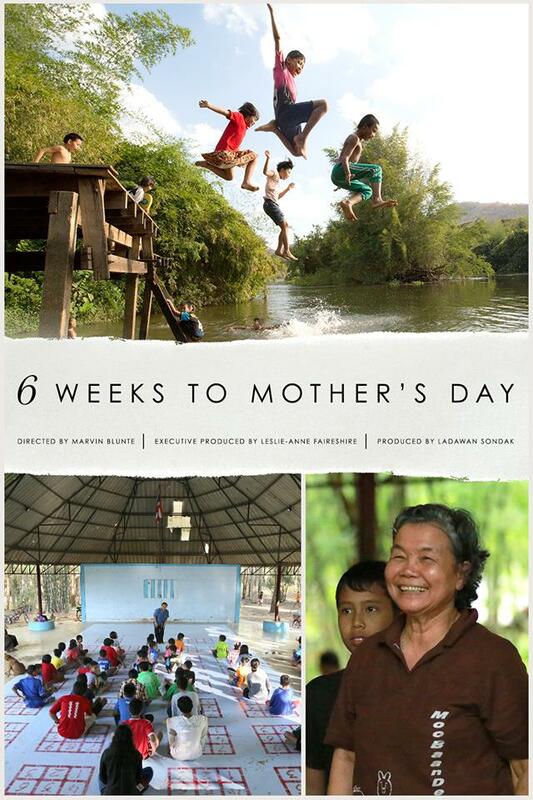 The students and faculty plan to give Mother Aew a fitting 35th Mother’s Day celebration in Marvin Blunte’s 6 Weeks to Mother’s Day (trailer here), which screens during DOC NYC 2017. Thai Mother’s Day is in August, but the principle remains the same. For most of the residents of Children’s Village, Mother Aew is the closest thing to a mom they have ever known. She has sacrificed much for them, essentially conducting a long-distance relationship with her husband, who assumed direct oversight responsibility for the nursery several miles away, while she oversees primary and secondary education at their core facilities. Mother Aew is always willing to offer advice (fortunately), but policies are set by the children themselves in town hall-style meetings that look like a cross between French Revolutionary Tribunals and the kiddie gangster musical, Bugsy Malone. Fortunately, Mother Aew convinces them not to punish littering with thumb-screws and the rack, but to settle for some quick water-boarding instead. In all seriousness, Children’s Village might sound a little hippy-dippy, but it looks like a sheltering environment, which is what most of the residents desperately need. If she can provide safety, stability, and some degree of education, she and her husband have made a considerable difference in many lives. Clearly, Blunte takes an almost evangelical interest in Mother Aew and her kids, capturing them in all their earnest compassion and progressiveness, in the hope of generating Western grant money, which is a totally worthy goal. 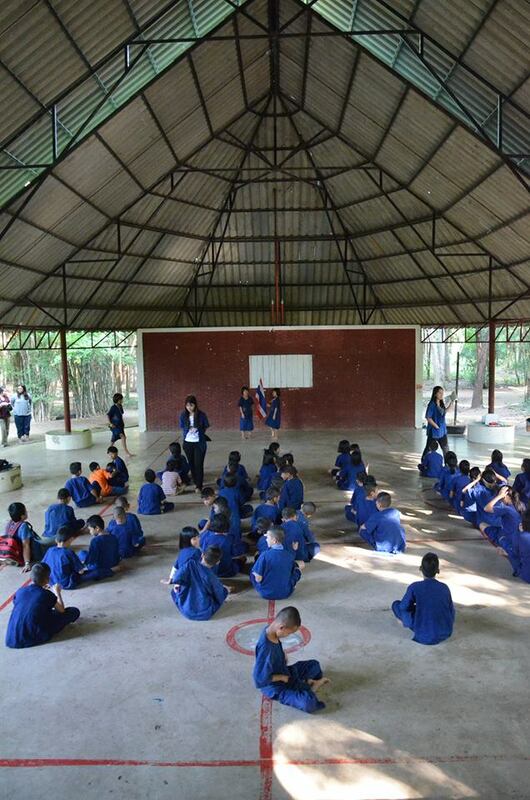 Blunte gives viewers a tactile feel for life in the Kanchanaburi school compound. Mother Aew and many of her students are rather charismatic and the Mother’s Day tribute skit they stage is surprisingly funny. It is not exactly a documentary classic, but it is a very nice film. (Still, when it comes to stories of educational heroics, it remains tough to beat Journey from Zanskar). Recommended for A.S. Neill disciples and fans of uplifting docs, 6 Weeks to Mother’s Day screens tomorrow (11/16), as part of this year’s DOC NYC.